But are we ever truly at peace? Oh, how I want to be. But it’s so easy for circumstances and people to steal my peace. Some days their actions, or lack thereof, make me grumble and complain. Other days their words cause me to scowl and roll my eyes. And sometimes I completely lose it. Notice my word choice: “they make me.” I blame my husband, my sassy teenager, the irritating people on the highway, the rude clerk at the store, the demanding boss for stealing my peace. It feels better that way. Justified. Yet after the looks flash across my face or the words spew forth from my lips, I hate it! I wished I hadn’t. I want to stop, to be kind, to be patient. But I can’t. I just can’t. Something in me just can’t stop myself! My heart cries, What is wrong with me?? Wow! Even Paul felt this way. The greatest evangelist that ever lived struggled with walking fully in God’s peace. He got angry. He lost his temper. People irritated him. It’s our natural bent. Without Jesus we would live this way every day, every hour, every minute. To overcome that natural bent, we must feed our spirit. We forget that as saved children of God, we have two natures. Physical AND spiritual. Without Jesus, we walk in the physical. We respond in the physical. We allow our sin nature to lead us. When I lose my patience easily; when my tongue lets loose quickly, when I feel devoid of peace, it’s because I am allowing my physical self to control my thoughts, emotions and speech. And looking back, it’s those times that I’m not sitting at the feet of my Father … really spending time reading and absorbing His Word. Consequently, my peace dissipates, and I end up angry. Restless. Impatient. Intolerant. Jesus did His Father’s will … always. 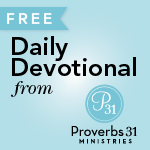 Jesus desired to glorify God in everything He said and did. And so should we. Really, every act of our lives should reflect His peace, His love, and His character. Friend, let’s pray together with one heart to unite our natural self with our spiritual self so that God’s peace and His presence will permeate our every word and deed. So when we lose it, and we will, our hearts are more prepared and open to repenting and asking forgiveness, thereby modeling again our Father’s character. We must PRACTICE living a life of peace. We must invite God into our every day. 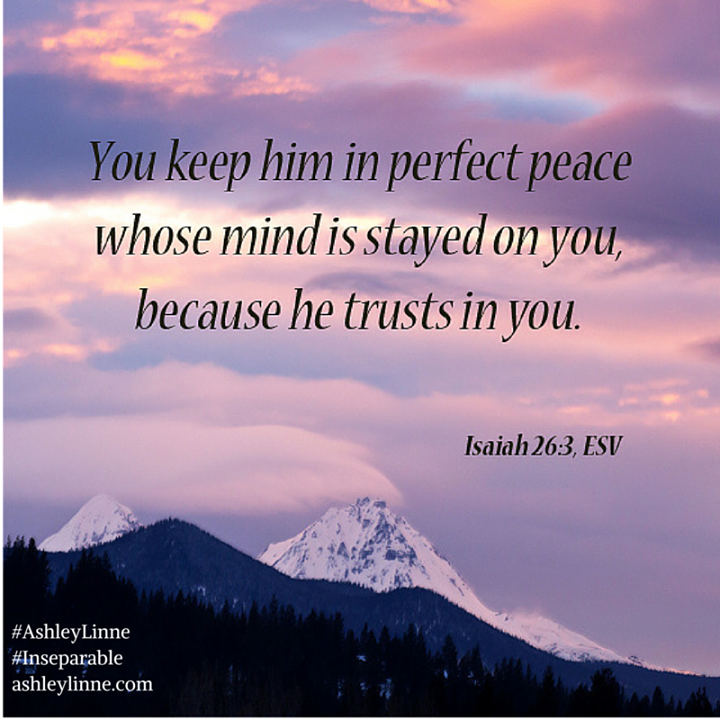 It’s when we include Him in our daily activities that peace will permeate our hearts and homes. IN CHRIST WE CAN DO THIS!! Not in our own strength, but in the strength of the Holy Spirit. Do you have days like mine? Times where you can’t explain the lack of peace? Share them with us today and share how you find your peace again. It helps to know we are not alone!! Sweet Blessings to you today! 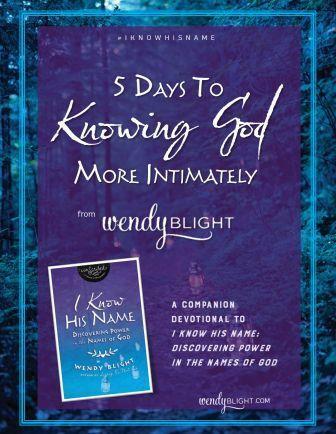 You know my heart for prayer, and I know your hearts for prayer, so I could not wait to share this book with you! 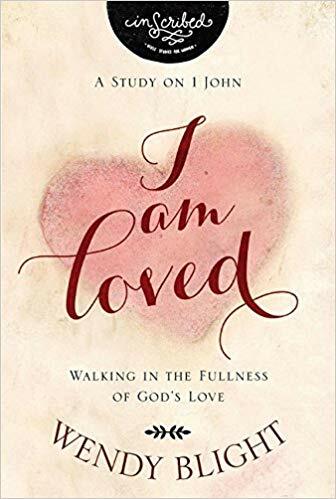 Last year, I received an e-mail from a friend inviting me to contribute to Rob and Joanna’s new book, “A Mom’s Prayers for Her Son.” I couldn’t say yes fast enough because prayer, and more specifically, praying God’s Word, completely transformed my mother’s heart and changed our home. 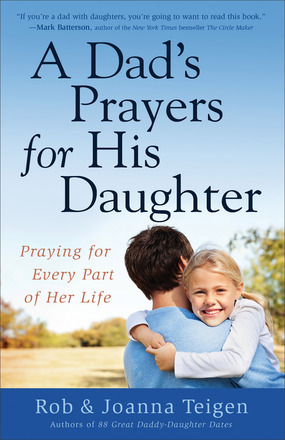 A few months ago, I shared with you Rob’s first book, “A Dad’s Prayers for His Daughter.” And I am even more excited to share today’s book because now you have a matched set…whether you have a son or daughter, a grandson or grandaughter, or a niece or nephew, you have access to beautiful, powerful prayers to pray. So many times we want to pray for our children, but we just don’t know how to pray or what to pray. 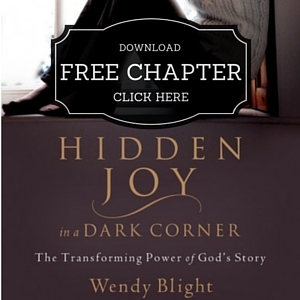 This book teaches us how to pray for every area of their lives. And they fill the pages not only with prayer but also with stories (like the one I share about praying for my son, Bo) that help bring those prayers alive so you can see them at work in a real family. Joanna, thank you for stopping by today. A huge part of my life as a mom revolves around preparing food for the seven of us in my family. I create the shopping lists, shop the aisles of the grocery store, drive home and put it all away, and then create meals to put on the table from day to day. I try to keep each of the kid’s cravings in mind as I shop—chocolate milk, Honeycrisp apples, frozen fruit bars—because in some mysterious way, food says “love” to each of them. We celebrate life together over food, too. Thanksgiving turkey and pie, Superbowl pizza and wings, birthday cake and ice cream–it’s impossible to separate our family’s connection with each other from the meals that we share. This past summer we were thrilled to adopt our little boy. If we have ever had a reason to celebrate, it’s him! What’s tough, though, is that he has sensory processing issues with his mouth and food allergies as well. As much as we’ve embraced him into the heart of our family, he’s still on the outside looking in when it comes to sharing in our meals together. So many foods bring anxiety, tears, gagging, vomiting, itchy skin, or dangerous allergic reactions. The food=love equation isn’t working out so well for us! As his mom I can become frustrated. His daily diet is better suited to a toddler than a big kid. His menu isn’t growing at the same pace as the rest of him. Even with therapy and persistence, progress is slow. He’s constantly hungry because hearty, filling foods are the hardest to swallow. I worry about the nutrients he’s missing out on, whether he’ll fit in at school, or if he’ll get sick. I worry that it will stay this way forever. Watching him struggle reminds me, though, that I have areas where I’m slow to progress. Parts of my life and character that seem stuck in immaturity. Does a new social opportunity send me running back to the safety of familiar friends? Does humbling myself to admit my part in a marriage conflict make me choke? 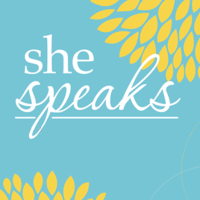 Do I hoard what’s on my “plate”, because fears about finances keep me from sharing what I have? 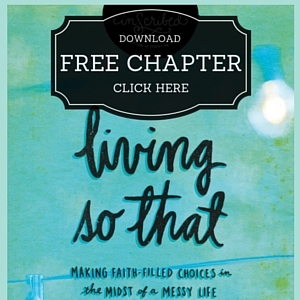 Is the Bible so complex or confusing that I stick with simple, feel-good devotionals instead of in-depth study? Just like I am eager to nourish my son and help him grow, God is eager to feed me—his daughter—and grow me into a woman of faith, wisdom, and love. The “food” he provides is the truth of his Word. The big question is this: What is keeping us from feasting at God’s table? Let’s pray today for an eager appetite for his Word. A new palate that savors the deeper truths of Christ. The courage to pick up our forks and knives and dig into the meat God has for us. Joanna, it has been a blessing to hear from your heart today. Thank you! 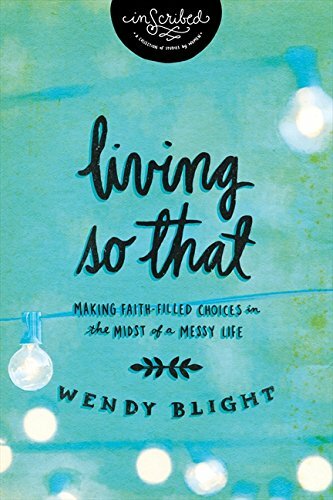 Friends, we would love to give away a copy of her new book, A Mom’s Prayers for Her Son,” so please leave a comment today sharing what keeps you from “feasting at God’s table,” from spending a few minutes in quiet time with Him. And then share one step you can take toward changing that (getting up a few minutes earlier, taking the first five minutes of lunch hour to open God’s Word, bringing you Bible to carpool line, etc.). 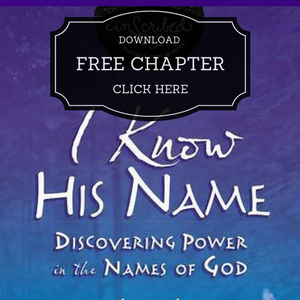 We will choose one name to win a copy of her book. ** Joanna Teigen and her husband, Rob, are the co-authors of 88 Great Daddy-Daughter Dates, A Dad’s Prayers for His Daughter, and A Mom’s Prayers for Her Son. 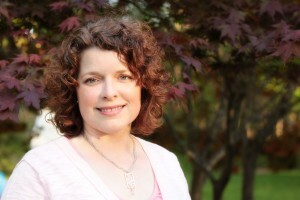 She enjoys homeschooling, marriage mentoring, and life and laughter with their five children. She makes her home in West Michigan. Today I am so excited to introduce you to Courtney DeFeo. Courtney and I became friends through our dear friend Bobbie Wolgemuth. Bobbie poured her love and wisdom into our mother’s hearts over the years and completely transformed our hearts and homes. And Courtney’s new book, In This House, We Will Giggle, is an outpouring of all that God has done in her mama’s heart. God gifted Courtney with amazing creativity, and she truly makes being a mom and spending time together as a family a JOY and DELIGHT! And she makes teaching our kids about God and living out God’s call to serve FUN! So enjoy this great post from Courtney. Be sure to read through to the end so you can enter our Giveaway. 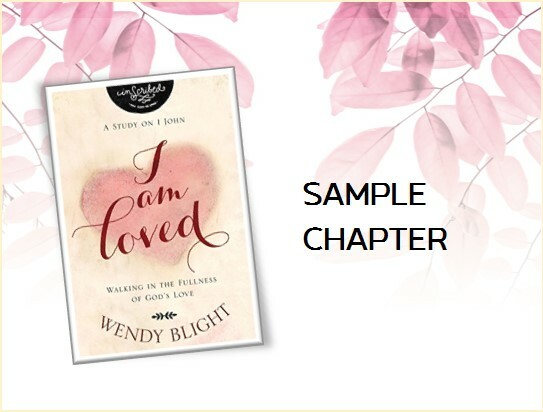 We will give away one signed copy of her book! I’ve got a challenge for all us – moms, dads and kids. I want you to find a red marker or pen and get ready to give yourself a tiny red (temporary) tattoo in the shape of a heart. First, read this challenge. At the end, decide where you to create your reminder of love. Have you ever thought about how very important you are? YOU are God’s plan for this earth. It’s almost like his heart exploded with love and each of us gets a tiny piece of it. Then, we get to love in a way that others experience God. We get a chance to walk the halls of school and our neighborhoods holding that heart so delicately, yet boldly. I have two little girls that are like most little girls. They are walking the halls of school and having good days and bad days. Some days they are included and some days they are left out. Some days they feel beautiful and some days they feel just plain awful. They are made by a creator that loves them deeply. They are wonderful, caring, sweet and made for such greatness. I love to remind them that they are God’s secret weapon. They walk into school with a choice. To be defeated or to impact others for God. They are representing God with every word and action. With one kind word or gesture, they can literally change someone’s day or school year. Sometimes, they forget God is with them because they cannot see him. But he is there. He is near. He is often nudging them to do the next right thing. 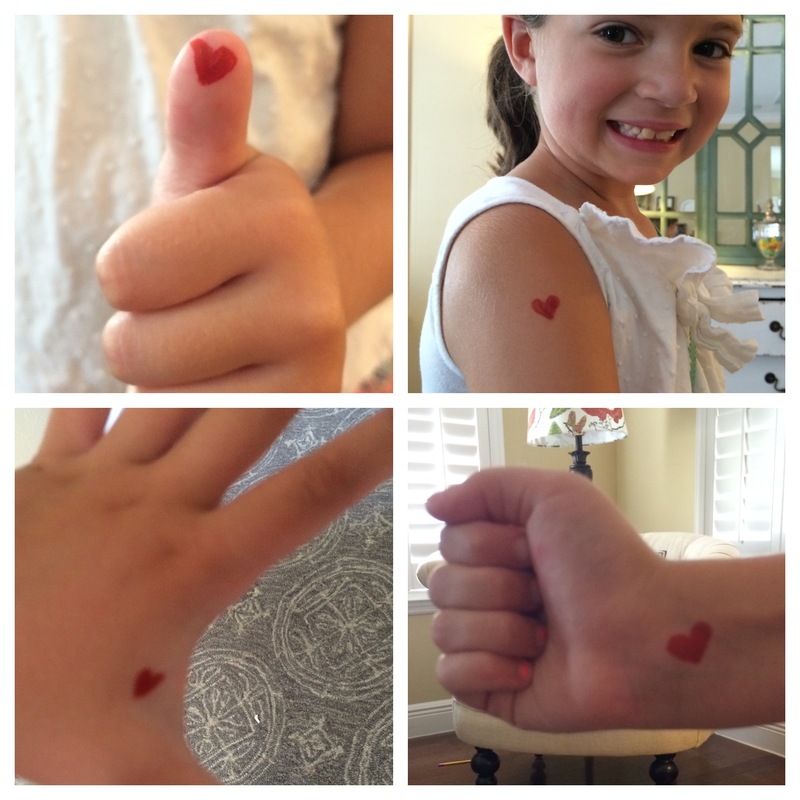 This week, I am challenging my girls and each of you to find a place to draw his heart. You were created in His image and you get the chance to show others how He loves. Maybe put it on your hand so you’ll remember to reach out to a lonely friend. Maybe put it on your foot so you’ll remember to let an enemy go first in kickball. Maybe put it behind your ear so you’ll remember to listen before you speak. Maybe put it on your arm so you’ll remember to hug your sibling. You matter to the creator of the universe, and I am so thankful you were made. 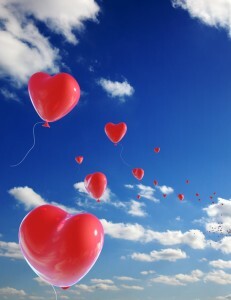 The way you love will fill up your own heart – more than anything else in this world you can achieve or buy. God loves you so very much. He’s right there with you every day. Represent him well! Thank you, Courtney, for this GREAT challenge. To enter to win a signed copy of her book, leave a comment telling us where YOU will put your heart tattoo! Check back here Friday, February 27th, AT THE END OF THE COMMENTS SECTION, to see if you have won. 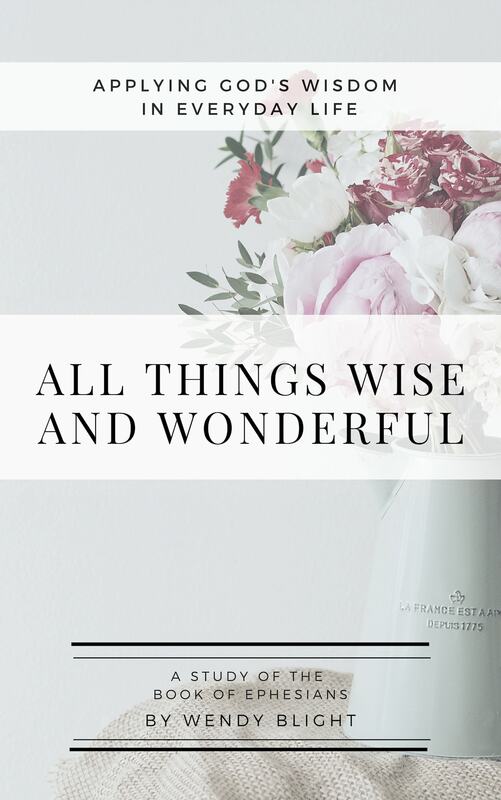 Courtney DeFeo is the creator of “ABC Scripture Cards” and “Light ‘Em Up and Conversation Cups”. 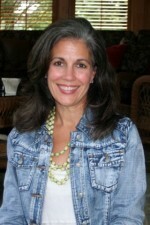 She is the author of In This House, We Will Giggle: Making Virtues, Love and Laughter a Daily Part of Your Family Life. She believes our kids can light up the world. Her house is a wreck, and she hates to cook. She adores her hot, patient husband and her two spunky daughters. Connect with Courtney at courtneydefeo.com. 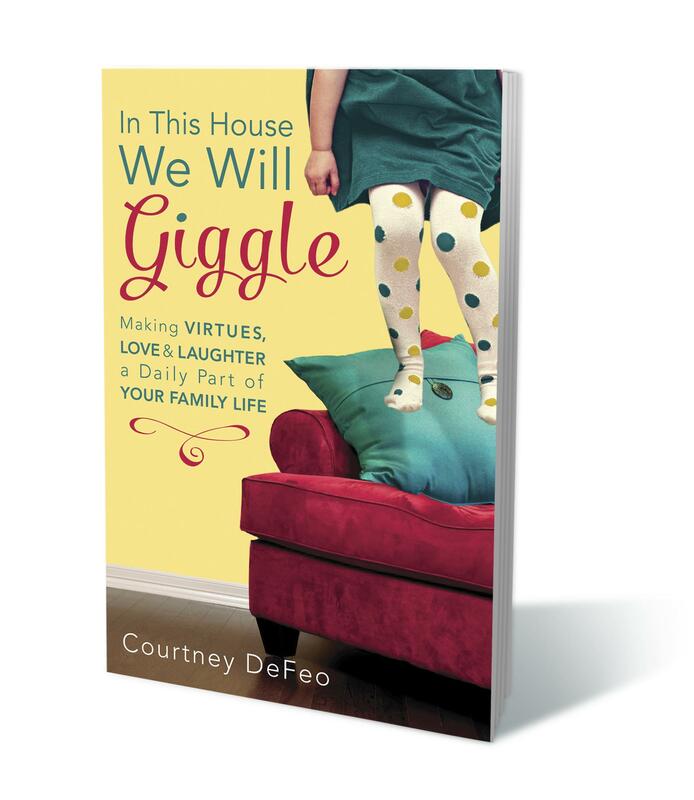 In This House, We Will Giggle offers parents a practical approach to instilling virtues in their children through laughter, rather than lecture. Designed to cover an entire year, each of the 12 chapters highlights one key virtue in developing a child’s character, along with insights to help infuse the virtue into everyday life. In This House, We Will Giggle teaches children to experience the goodness of God, the joy of following Jesus and the difference children can make in the lives of others.